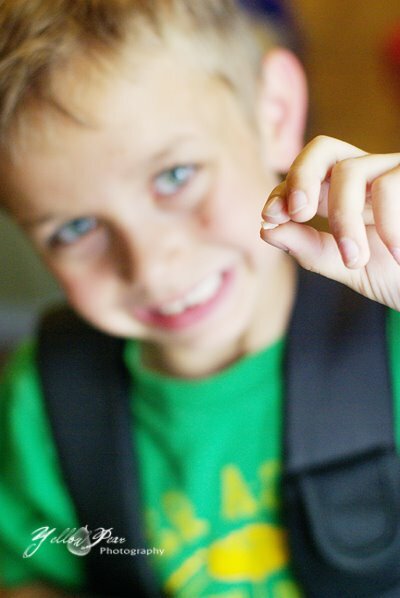 He lost his tooth at school...finally....it was hanging precariously for quite some time. He was very excited to come home and put it in this little box he got from Grammie many years ago and has been impatiently waiting to use. Then he proceeded to lose the lost tooth. How ironic. We searched HIGH and LOW but to no avail and he had to go to sleep with tear-stained cheeks with the hope of finding it the next day. Luckily he did...he was in his shorts' pocket. Phew...! And was ecstatic to behold his NEW treasure. The Tooth Fairy is so nice. Tooth value has certainly gone up since I was a kid. 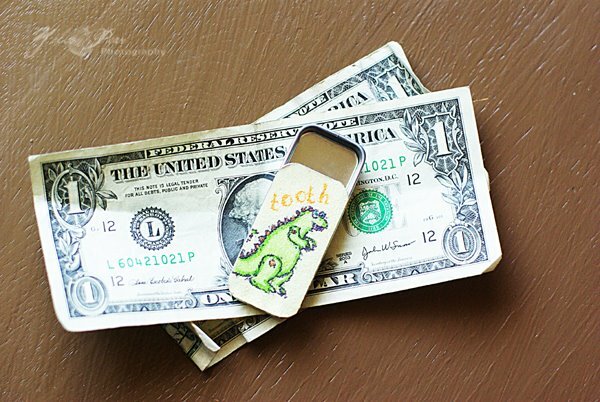 And can't you just imagine how hard it was for that Tooth Fairy to roll up those bills and stuff them in that tiny box? 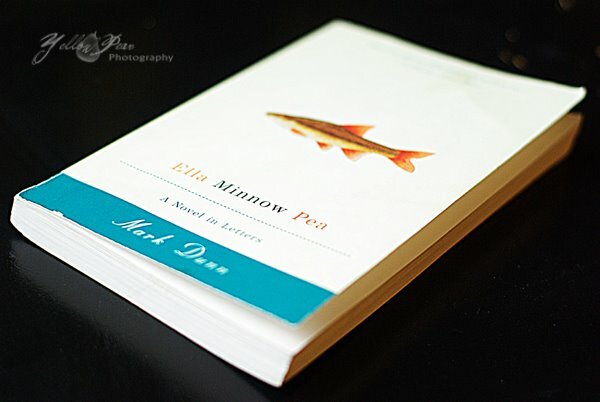 And for the book...I read this gem per my friend Nicole's suggestion and thoroughly enjoyed and highly recommend it for a fun, thought provoking little read. Nicole, do you have any more suggestions? Dear Miss B copied down all of your names and cut them into strips and randomly picked a winner (without peeking even). So, Wendy... email me the details of your next visit so we can get to work! I am so excited!! Thanks to all of you who left such lovely comments and played my game...it was so much fun and really brightened my week! Not to mention my Mother's Day, which was filled with the usual homemade kid cards, breakfast and dinner by the hubs while I got to relax and enjoy my little critters a little more than usual. I hope yours was just as great! Yea C Congratulations!!! You have a very generous tooth fairy I'll have to get her number from ya. Next time your tooth is hanging by a single thread just give Thomas a call and he'll rip it out with pliers for you. Do I ever (have a recommendation)! -not for the beginning reader. It's out of print but it is my favorite. I happen to know without a doubt that you would LOVE it! I almost die of laughter every time I read another one of its short stories. I knew Abe Lincoln was going to die but I cried snot bubbles anyway. I also thought your post about trying to enjoy life a bit more was so realistic. I can totally agree. How do we enjoy our little ones where there is so much madness going on around us? And my oldest has yet to enter into gradeschool! Wow! I can't believe I actually won! I'm really excited to see you guys since I missed you last time we were in town. We'll be there Monday June 15th and then we're going home on Thursday the 18th. Let me know what works for you. Can't wait! 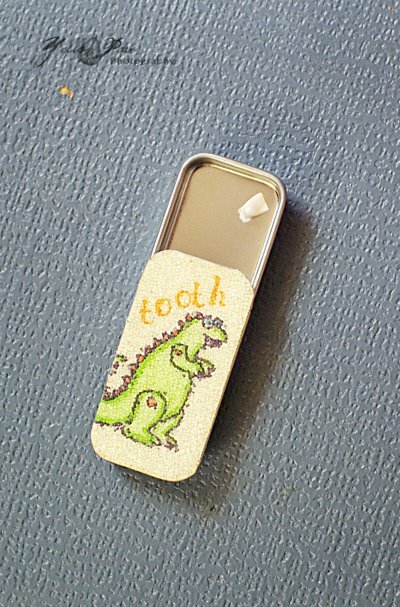 I love C tooth box. I am so glad he found it.